Heavy-duty storage keeps bed space open and supplies organized. 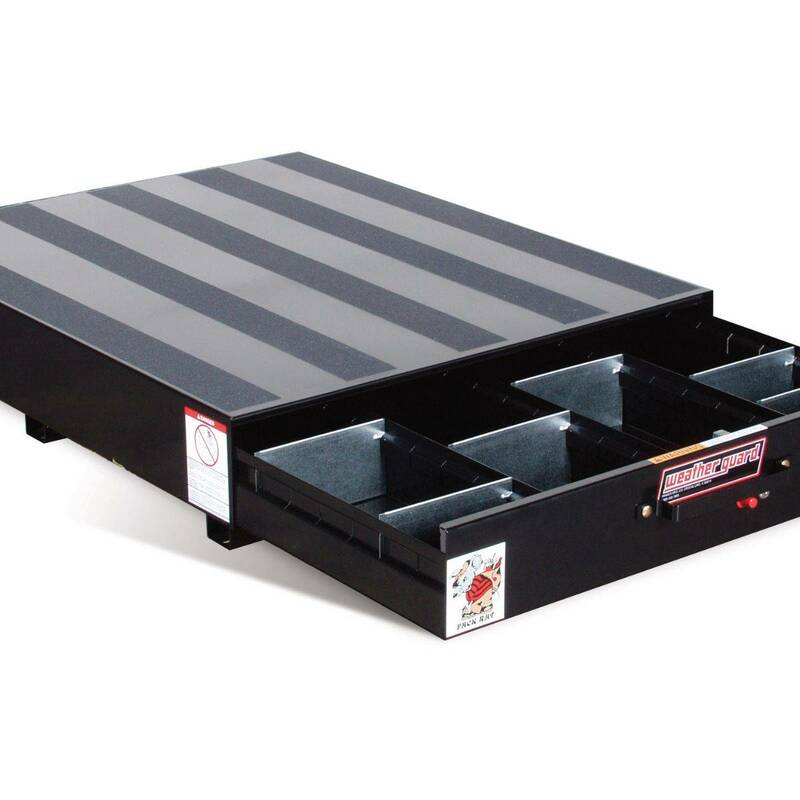 The Model 308-3 black steel Pack Rat Standard Drawer Unit has 4 compartments with 24 dividers and has a load rating of 750 lbs. This unit can be mounted inside the rear of the vehicle to provide easy access to large tools and supplies while leaving floor space open.